I have some trouble getting excited about football. Why is that? I’m guessing it’s my languishing competitive spirit. Or maybe the transient population I grew up with in Southern California (weak loyalties) or the fact that Los Angeles had NO football team in my entire young life. Or maybe my dad’s soft spot for baseball? I know. It’s a weakness of mine, especially here where I’m surrounded by Bears fans and Packers owners. BUT. I DO have a ton of enthusiasm about staying WARM in wind-whipped stands during those chilly football months. 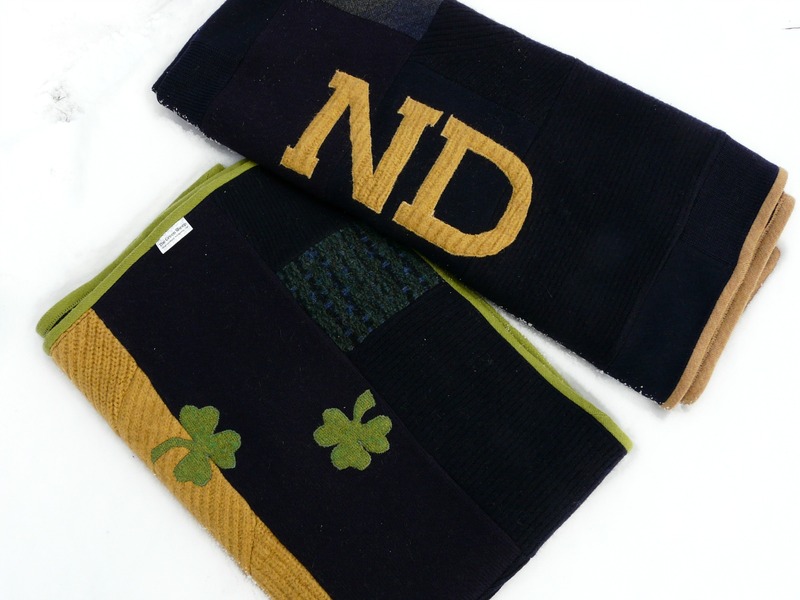 Judi, who knows a couple of die-hard Notre Dame football fans, came to me with an armful of sweaters and a question: Would I make lap blankets for this Fighting Irish married pair? Ohmygoodness, what a great idea. So I came up with a his and a hers, not identical but certainly mates. 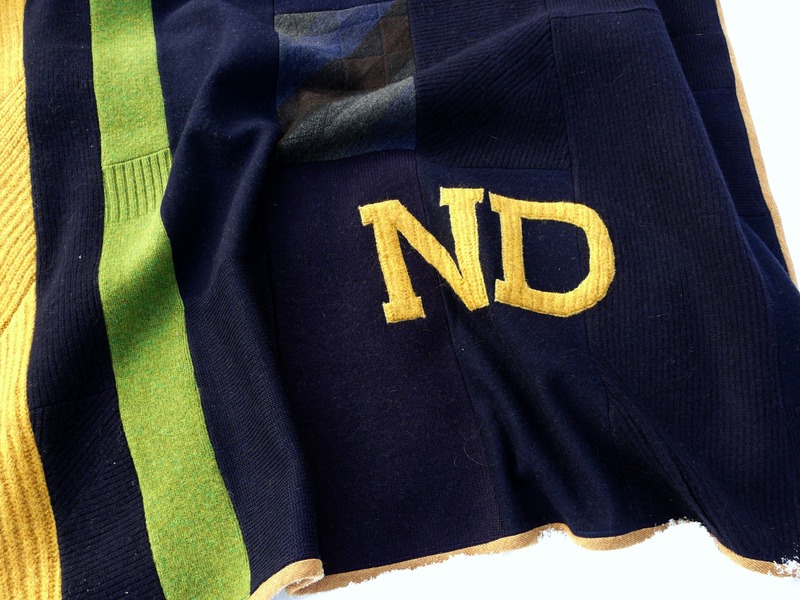 His has the bold letters, gold edging, and inset striped blue/gray pieces (above). 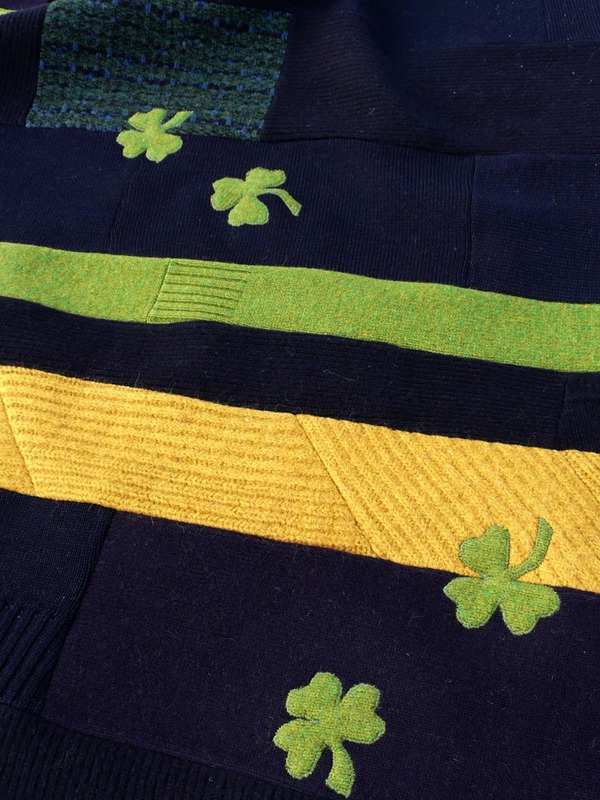 Hers has the shamrocks, green edging, and the blue/green basket-weave pieces. 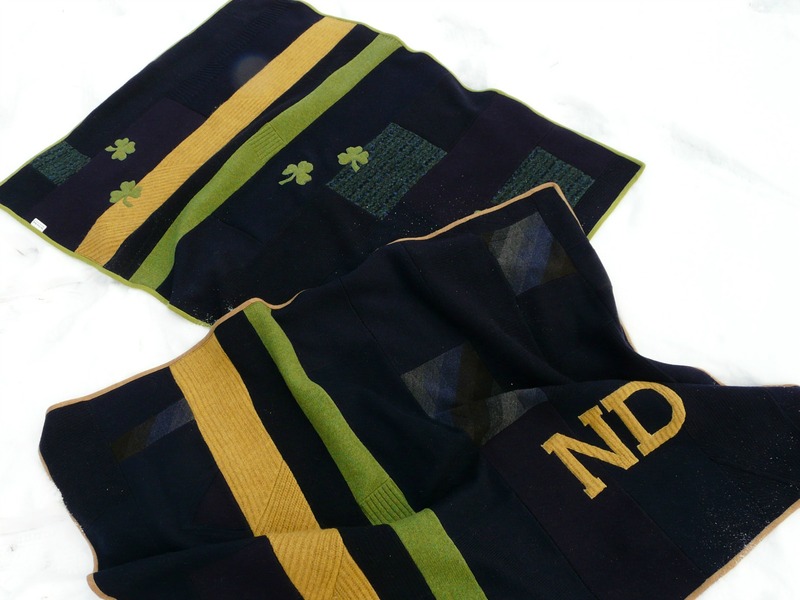 Finally, I love this tidbit of sentimentality: the blankets contain a sweater from Judi’s brother’s own days at Notre Dame years ago (left side of the photo below, under the shamrock). 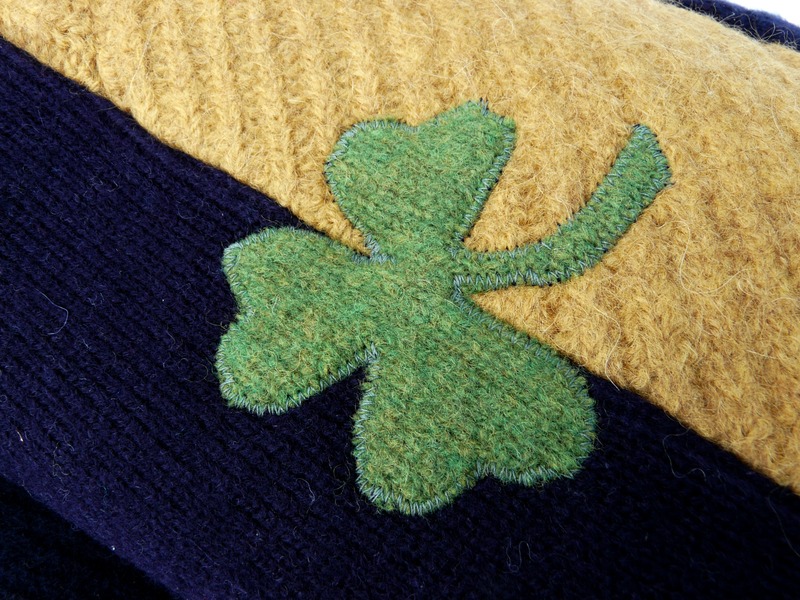 Come fall, it’ll be taking its place in the stands once again, to cheer on the team and keep fans warm. 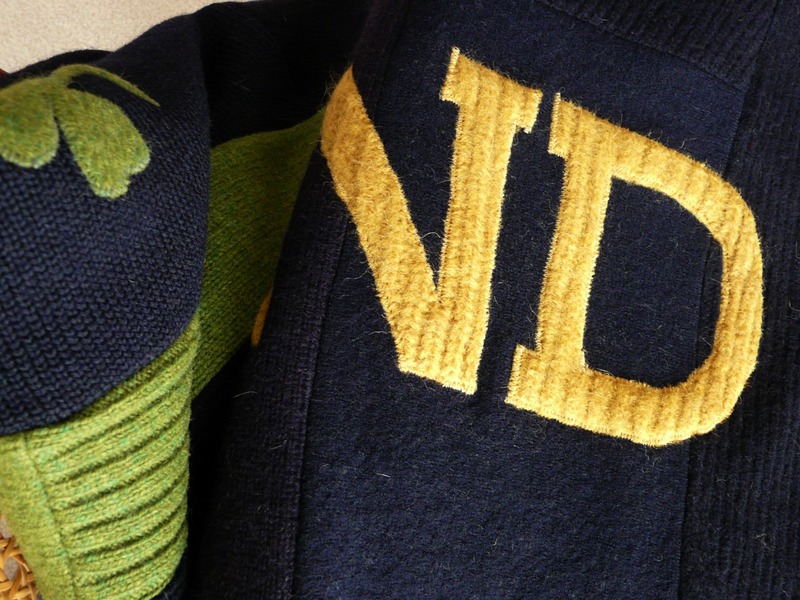 Go, Notre Dame! 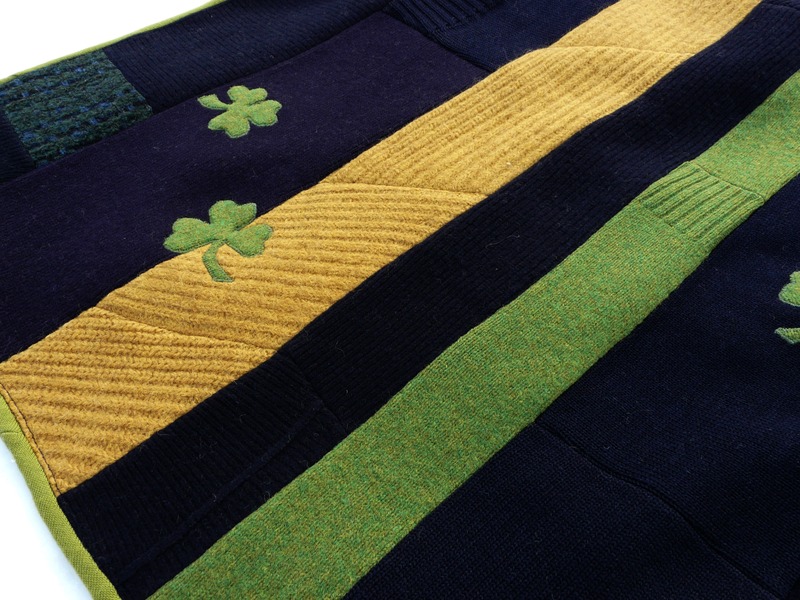 This is a custom-made set of blankets. You’ve worked your magic again! I absolutely love these! So cute. 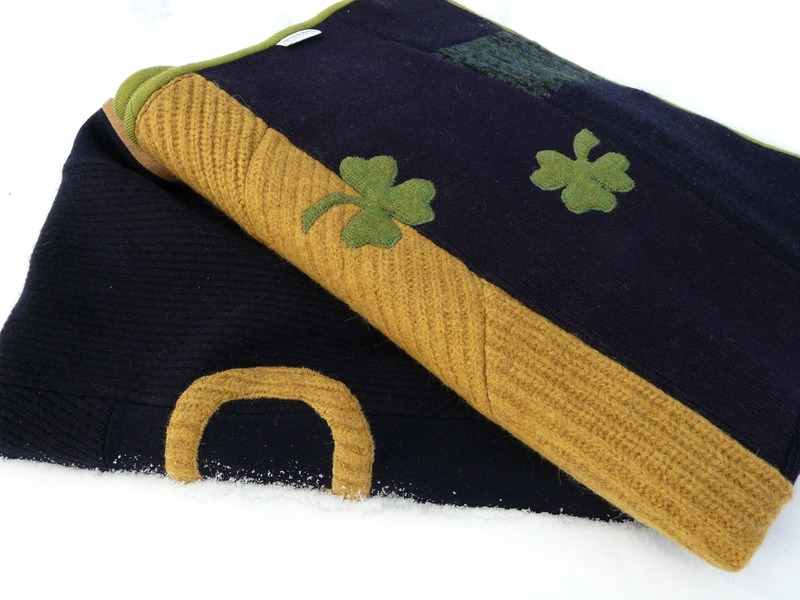 I’m saving my sweaters. Amazing Joanie. Always new ideas. How do you do it ?